A NICE EARLY 17TH CENTURY PLAIN TOP COFFER WITH RECESSED CARVED PANELS , CUT OUT PLANED SIDES, CARVING SIMPLE GEOMETRIC FORM , GOOD COLOUR AND PATINATION. 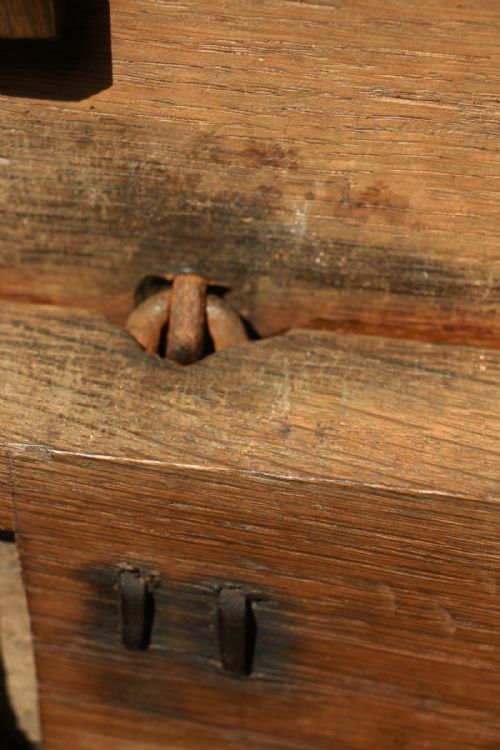 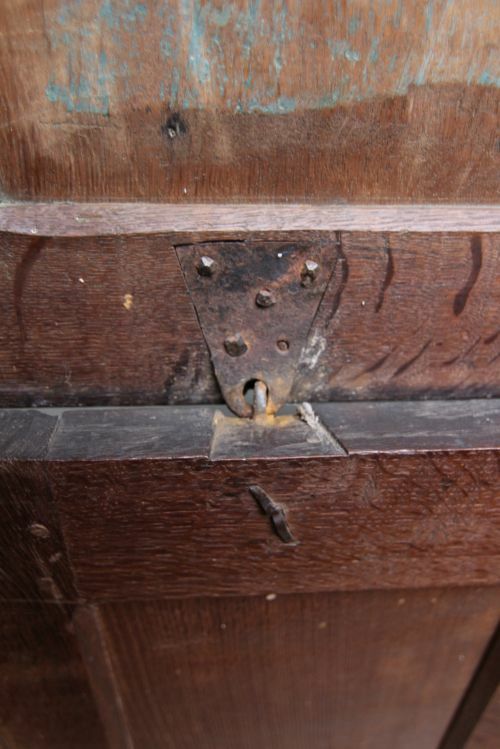 LACKS INTERNAL CANDLE BOX AND ORIGINAL HINGES, LATER OAK STRAPPING TO THE LID, HONEST 18TH CENTURY LOCK REPLACEMENT, SUPERB COLOUR AND PATINATION. 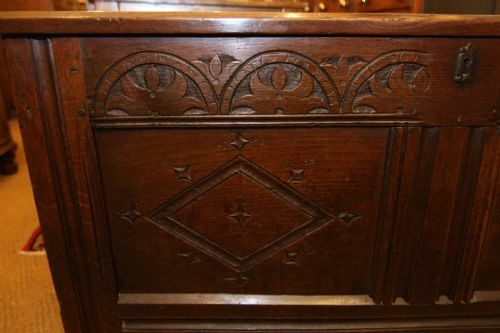 ORIGINALLY ONE OF 20 PURCHASED FROM MANCHESTER UNIVERSITY DURING REDEVELOPMENT IN LATE 80S. 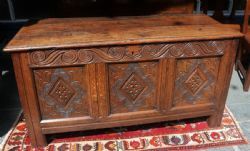 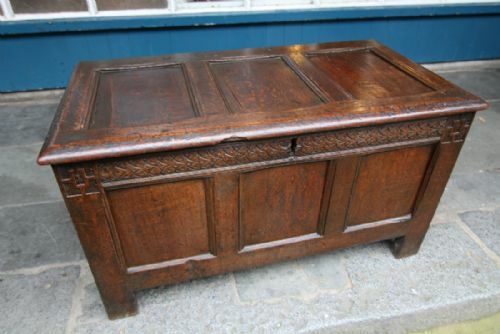 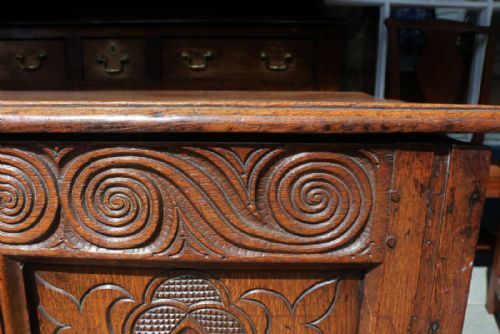 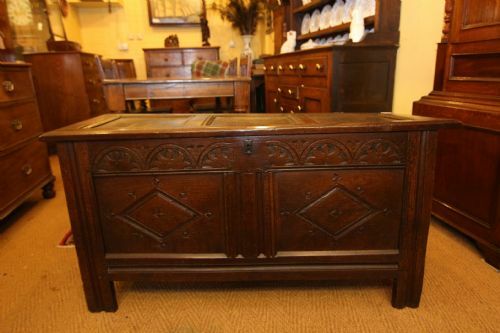 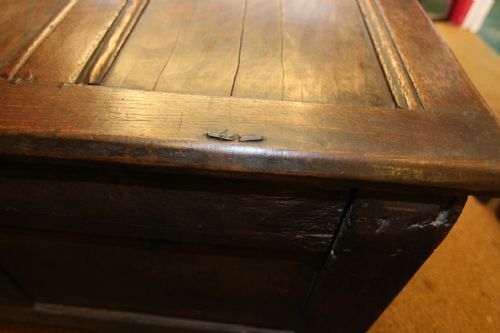 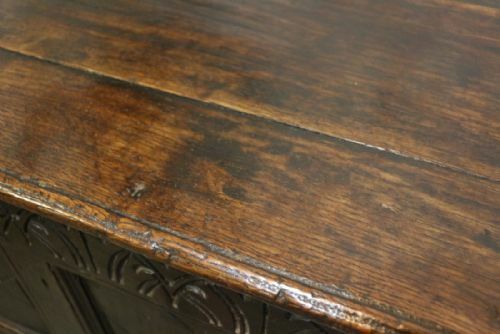 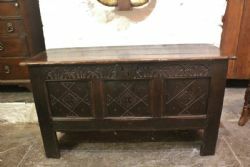 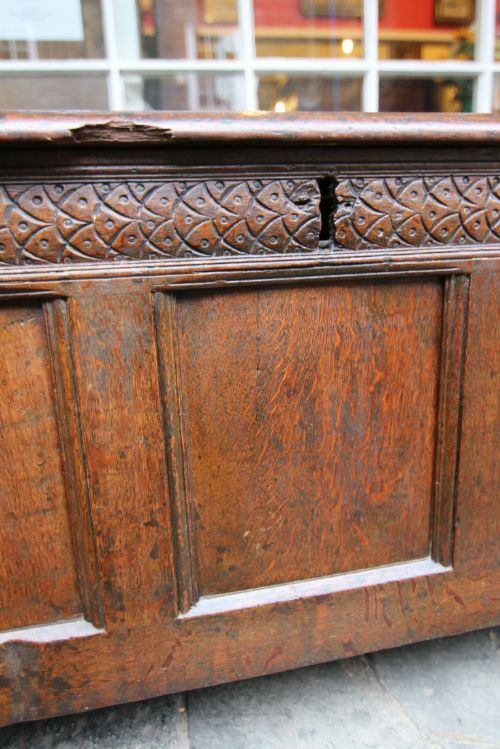 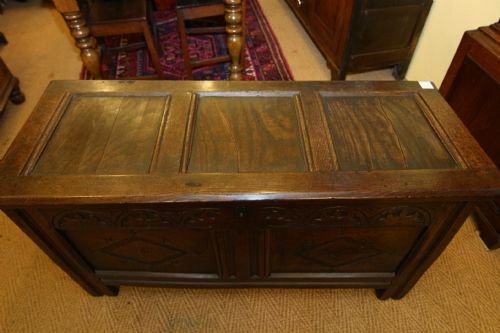 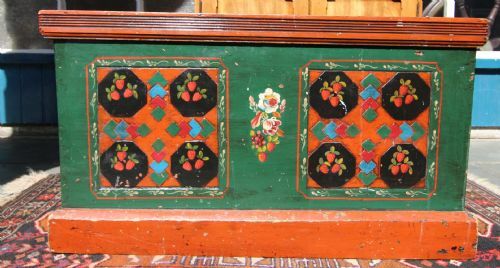 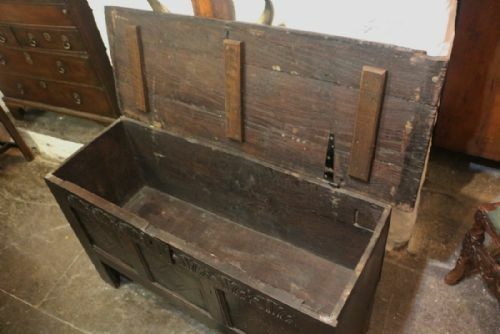 GOOD ORIGINAL THREE PANELED TOP OAK COFFER OF JOINED CONSTRUCTION, ORIGINAL IRON PIN HINGES 7 ECUTHCEON, FLYING LOZENGED TWO PANLE FRONT WITH CHIP CARVED DEMI LUNE FOLIATE PATTERN TO TOP FRONT STILE, COLOUR GOOD WITH PATINATION AND UNTOUCHED BACK. 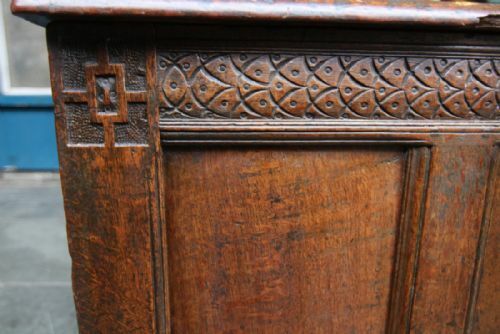 FROM A PRIVATE ESTATE ON THE WELSH BORDERS. 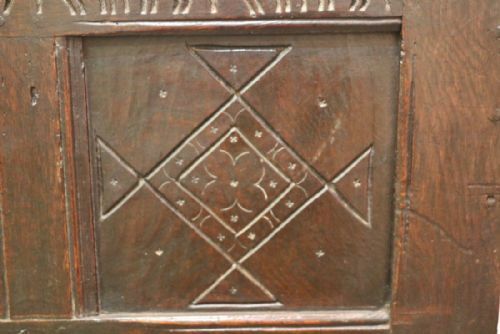 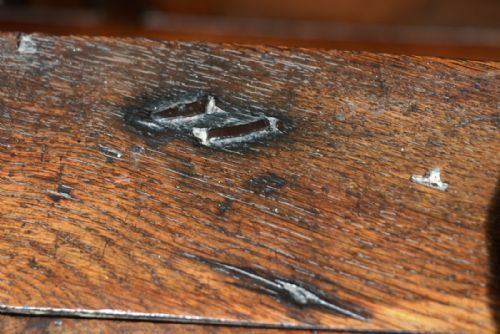 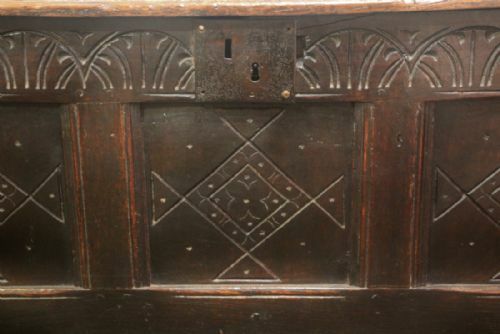 A CLEAN HONEST LATE 17TH CENTURY PANELED OAK COFFER, THE THREE RECESSED PANEL LID WITH ORIGINAL IRON PIN HINGES PLAIN INTERIOR WITH CARVED TOP CROSS SECTION ABOVE RECESSED PANELS, PANEL RIDE AND BACK STOON ON STILED FOOT.. BOUGHT FROM A PRIVATE ESTATE IN NORTH WALES. 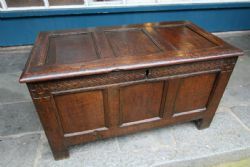 A CLEAN PLANKED TOP CARVED FRONT OAK COFFER, WITH ORIGINAL PIN HINGES AND INTERNALCLASP , SCROLLED CROSS STRETCHER WITH THREE RECESSED PANEL FRONT CARVED LOZENGE, PANELED SIDES & BACK, STOOD ON BROAD STILED FOOT, ALL JOINED CONSTRUCTION GOOD AND STURDY WITH CLEAN INTERIOR, NOW WORM, LOVELY GOLDEN COLOUR AND OMESTIC POLISHED PATINATION. 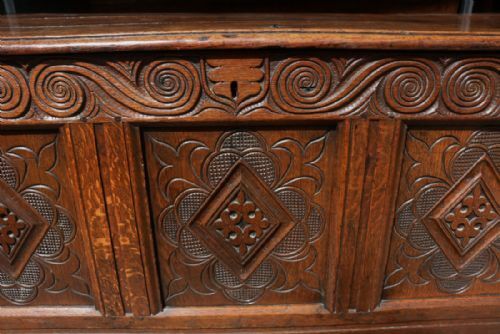 FROM A PRIVATE ESTATE IN NORTH WALES. 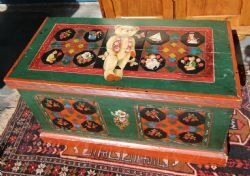 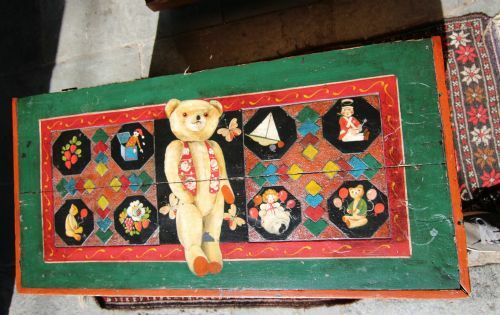 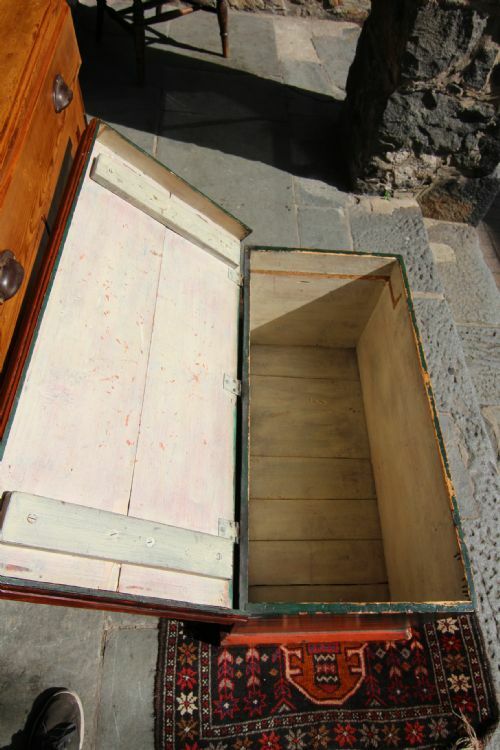 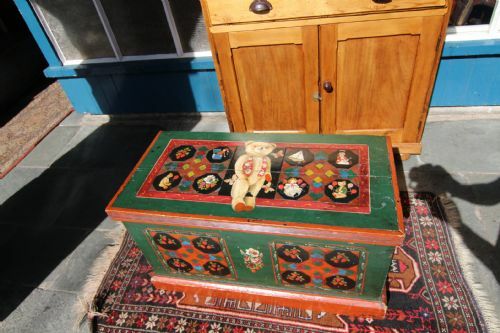 PERIOD PINE CHEST WITH RATHER SUBTLE CARVING TO THE TOP & FRONTAGE, CONTEMPORARY OVERPAINTING VERY WELL DONE OF TEDDY BEAR VICTORIAN TOYS AND FRUIT.